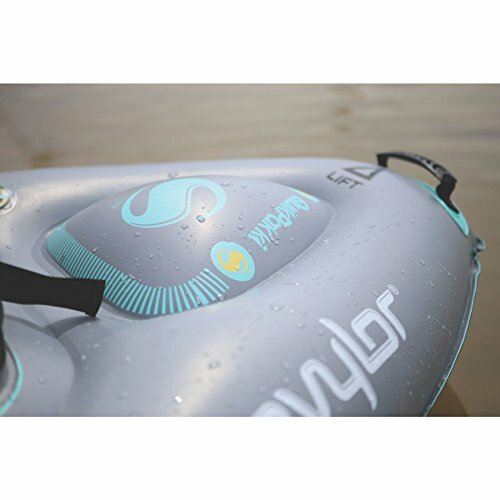 Get closer to the water and all the beauty swimming in it when you explore in a Sevylor K1 Sit-On-Top QuikPak Kayak. 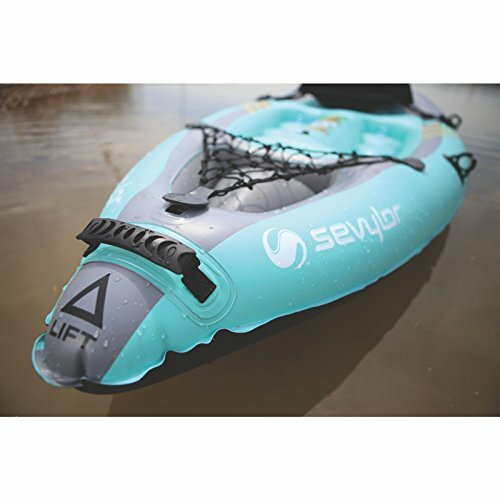 This inflatable watercraft works just like a traditional sit-on-top kayak, except when you're ready to pack up, it folds up into its integrated backpack with padded shoulder straps and fits inside any car or truck-and it all sets up within five minutes. While you're in the water, you'll paddle in more comfort with a design that allows you to stretch your legs, back and arms more easily. 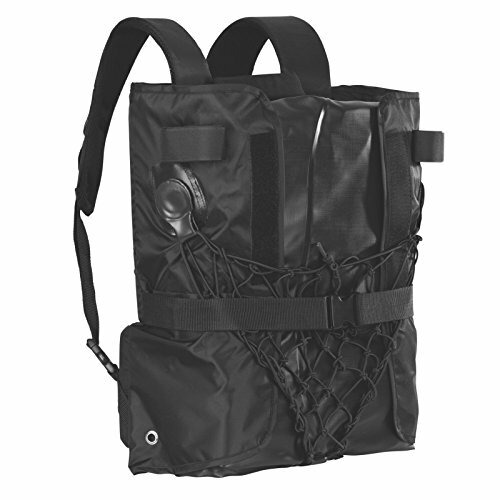 Pack food and gear in the cargo net on the front and keep your drink close in the cup holder. 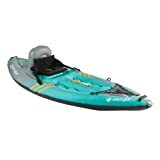 You'll easily carry the kayak over shallow water and in and out of the water with the lift handle. 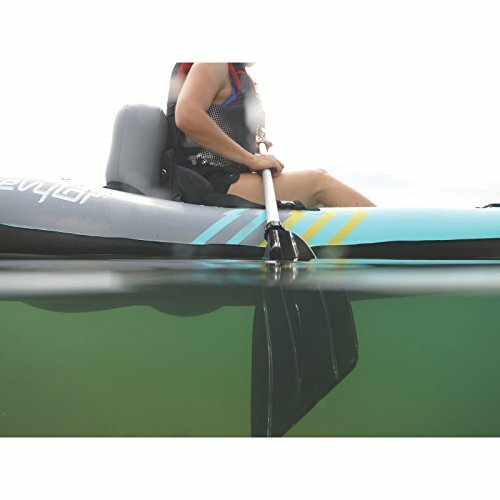 The rigid floor, flat bottom and three-chamber design keep the boat's solid shape on the water and offer added security if you get snagged. 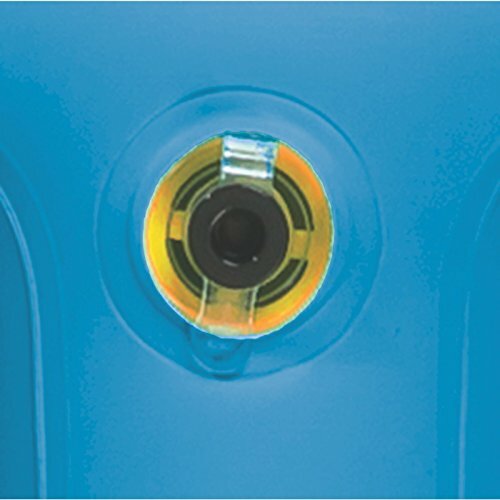 The thick PVC and reinforced bottom are part of the Airtight System that's guaranteed not to leak and the Double Lock Fast Valves and Mini Double Lock Fast Valves makes quick work of inflation and deflation. The 8 ft. 7 in. x 3 ft. (2.62 m x.91 m) kayak holds up to 400 lbs. 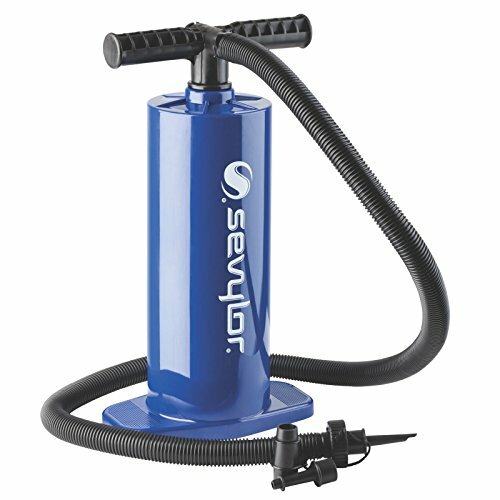 (181.43 kg)and includes a paddle that breaks down for compact storage and a high-pressure hand pump. NMMA® certified to hold up to 400 lbs. Inflated dimensions: 8 ft. 7 in. x 3 ft.